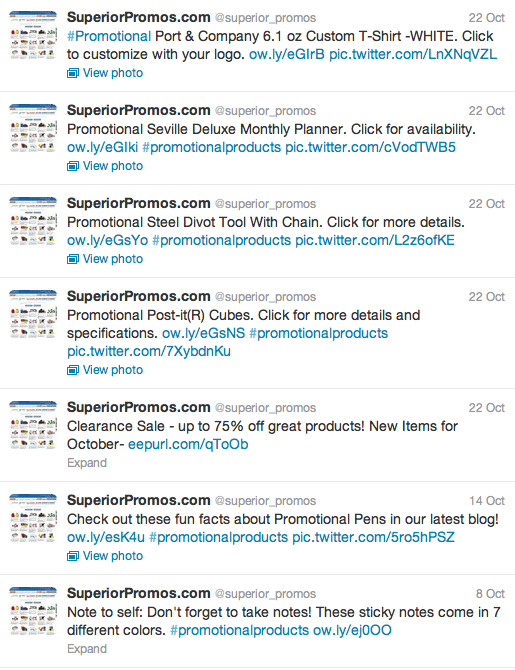 You are currently browsing the Superior Promos Promotional Products and Items Blog blog archives. 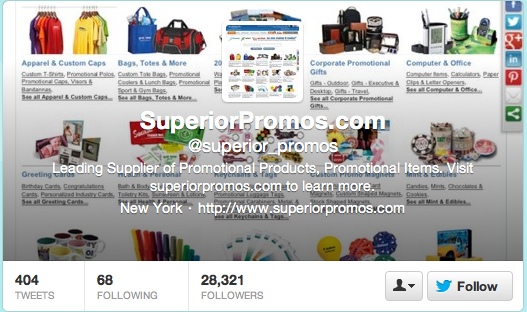 Make sure to follow the Superior Promos Twitter for all of our monthly exclusive deals on Promotional Products and Trade Show Giveaways. We look forward to your tweets and re-tweets of course. 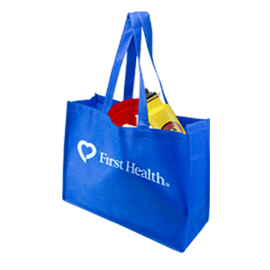 Promotional Tote Bags- Tote bags are a great way to showcase your brand or logo, while serving the purpose of carrying your valuables. 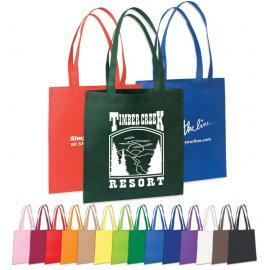 With such a large surface area, your logo is sure to stand out! Along with the practical aspects of a tote bag are the benefits of “going green;” ditch the plastic and paper bags and go the re-usable route! Promotional Pens- Pens make everything official and no matter how hard you try, you always seem to be scrambling to find one. 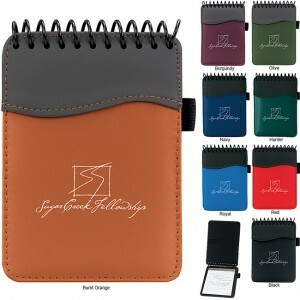 Pens are extremely inexpensive to purchase, you can buy them in bulk and they never go out of style. Promotional Mugs- Want people to see your brand first thing in the morning, every morning? Promotional Mugs are a great way give your brand maximum exposure while providing individuals with their caffeine fix. Promotional Lip Balm- Provide your customers and potential customers with some relief from those dreaded chapped lips! They will thank you for the extremely practical gift time after time. Best of all, lip-balm is small, cost efficient and not to mention it lasts a long time. 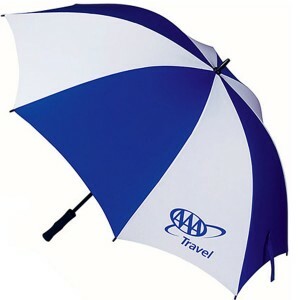 Promotional Umbrellas- Rain is simply unavoidable, whether you live in California, New York or Washington it is still bound to rain and everyone will have use for an umbrella. 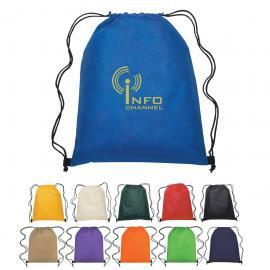 Your brand is undoubtedly going to shine in the rain when customers are parading around their umbrella with your brand!